At Pacific View Dental Group, we offer a range of services with dental implants that will restore the function and enhance the look of your smile. Our team of Ventura implant dentists are available to provide comprehensive dental services to replace missing teeth and create beautiful and healthy smiles. Dental implants are a great way to replace teeth that have been extracted or lost due to periodontal disease or trauma. 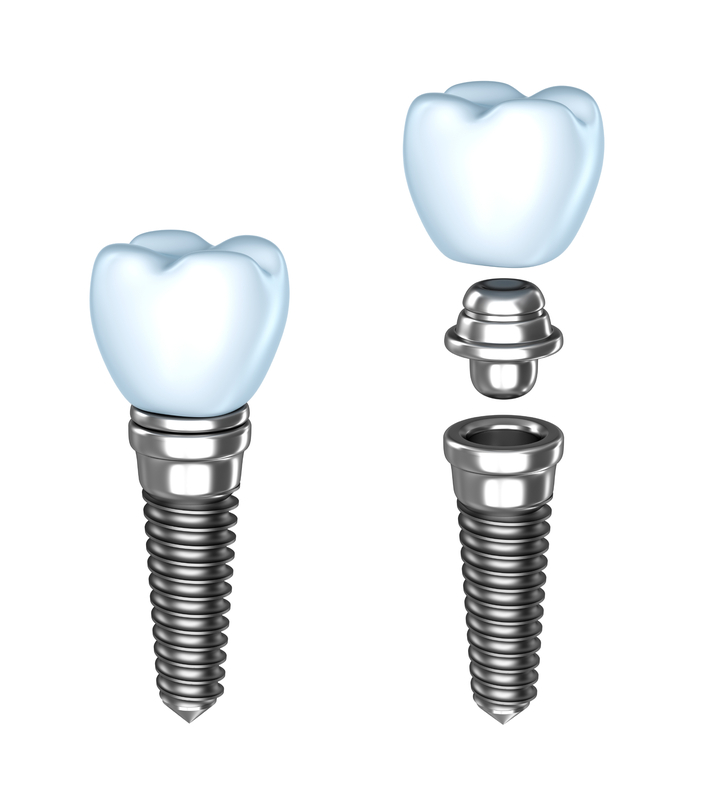 The implant itself is made of titanium screws that simulate the roots of a tooth and is placed into the bone to act as an anchor for a crown, bridge or denture. Through osseointegration, the implant fuses to the bone and once the healing is complete, an abutment is attached to the implant to secure the final tooth restoration. Teeth-In-Day: Unlike traditional implant procedures, dental implants can be placed in one day and patients are able to receive a brand new smile in a single visit. There are a few criteria that must be met to qualify for implants in a day, such as adequate bone density within the jaw. Teeth in a day is a convenient procedure for busy patients. Overdentures: Our Ventura dental office offers overdentures, a snap on hybrid denture that is affixed and supported by dental implants. The removable dentures are secured to implants through special abutments which help snap the denture in place. Implant Fixed Complete Dentures: Implants are able to affix complete dentures to have a stable lasting smile. This procedure is great for edentulous patients, individuals who do not have a full row of teeth, for it can restore both the lower and upper arches. Dental implants at Pacific View Dental Group are done with Nobel Biocare 3i dental implants which consist of high quality and efficient materials in the field of implant dentistry. In addition to use of innovative techniques and materials, our Ventura professional staff wish to ensure comfort and relaxation to all our patients. We are licensed to perform IV sedation, for more invasive procedures, and we also offer nitrous and oral conscious sedation options to ease our patients as we achieve their smile goals. Contact our Implant Dentist in Ventura Today! At Pacific View Dental Group we have a specialist in prosthodontics and oral implantology to provide the best services to restore your smile with highly trained and experienced professionals under one roof. Contact our Ventura dental office today to schedule a consultation for your new smile!